Large Original Acrylic Floral Painting by Marcy Chapman. Thank you so much for taking the time to view my artwork! 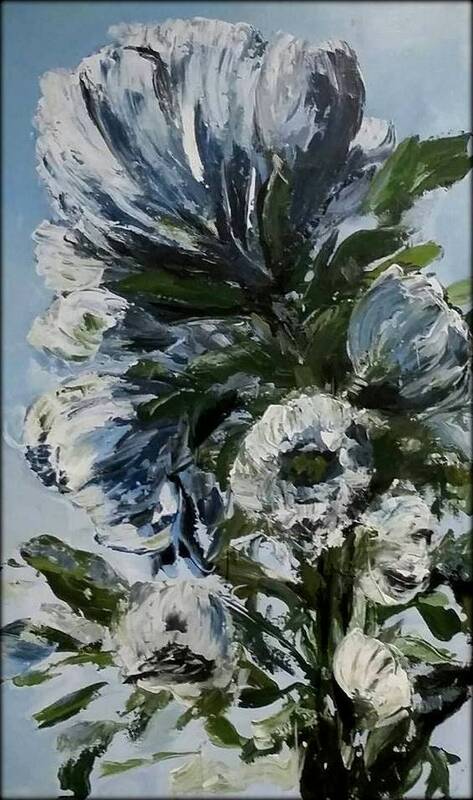 This is a textured semi abstract floral painting in navy blue light blue white and black. 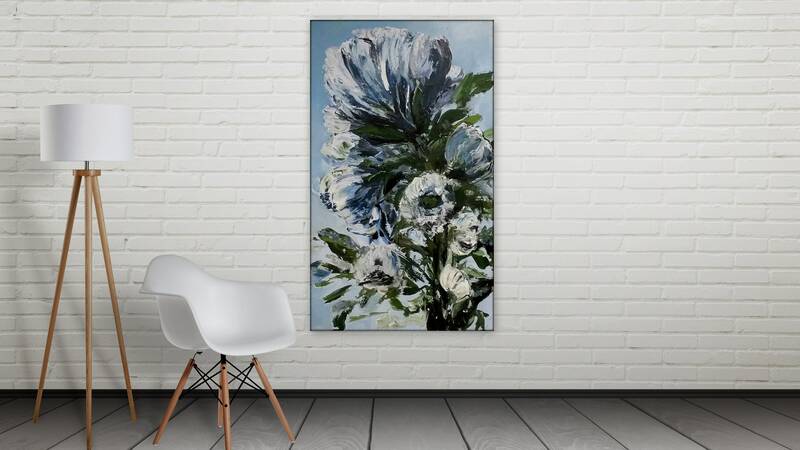 If you would like to make a large gorgeous statment with blue floral art, this is the one for you. Contact me if its not exactly what your need. I take custom orders! Free shipping on the gallery wrapped wood frame. The frame measures 1.5" deep and the edges are painted black to really make a contrast from the wall. I am sure you will love this painting in person even more! NOTE!! All international orders with be shipped unstretched canvas for safe handling. No frame included.